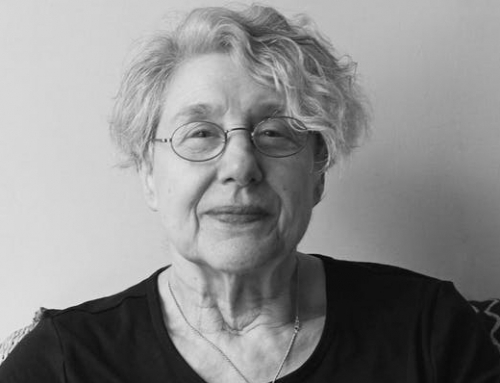 Born and based in Brooklyn, NY, Martha Rosler has created videos, photographs, text installations, and performances since the 1960’s, connecting matters of the home and everyday life to issues of the world at large, such as wars fought abroad, centering the politics of womanhood. Through her photomontage series House Beautiful: Bringing the War Home and videos Semiotics of the Kitchen and Martha Rosler Reads Vogue, this pioneering artist of post-conceptual practice confronts the politics of text/image making and investigates how such politics continue to shape our present, while simultaneously confronting sexism, war, and gentrification. 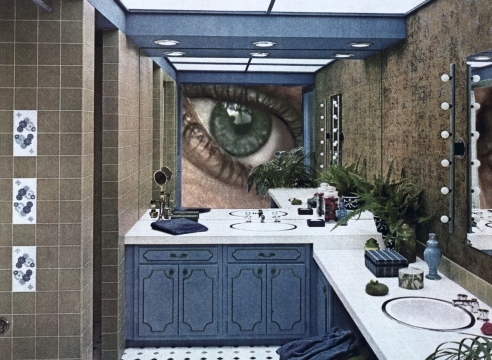 Martha Rosler has had major exhibitions at institutions including the Jewish Museum, New York (2018); Kunst–museum Basel, Switzerland (2018); the Museum of Modern Art, New York (2012); The New Museum, New York (2000); and the Dia Art Foundation, New York (1989). Her work has been included in numerous group exhibitions and Biennials, as well as two Documentas (2007, 1982), and at institutions such as the Hirshhorn Museum, Washington, D.C. (2018); the Whitney Museum of American Art, New York (2018); the National Gallery of Victoria, Australia (2018); the Brooklyn Museum, New York (2015); the Museo Nacional Centro de Arte Reina Sofía, Madrid (2013); and the Museum of Contemporary Art, Los Angeles (2011). Rosler has also published 17 books of photography, art, and writing in several languages. She received Hamburg’s Lichtwark Prize (2017), the Women’s Caucus for Art Lifetime Achievement Award (2016), the College Art Association Distinguished Feminist Award (2013), the Guggenheim Museum Lifetime Achievement Award (2010), the Spectrum International Prize in Photography (2005), and three honorary doctorates.